Born and raised in Houston, Ginger is a natural fit for TSO. Having several years of experience in the eye care field, Ginger has a wealth of knowledge in current lens designs, materials , and frame styles available on the market. 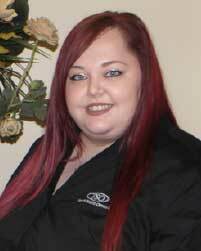 As a senior optician, her passion is making sure our patients see their best while looking their very best. Outside work, Ginger’s hobbies include shopping, photography and social networking. She is also an avid dog lover, a voracious reader and loving wife.